Why should we plant more trees? This is possibly the most pertinent yet easily answerable question in the modern day. Protecting the environment lies at the core of BGIF. We believe that community engagement coupled with effective collaboration between public, private, and civil society organisations will drive affirmative action towards mitigating the effects of climate change. At BGIF, we draw inspiration from a humanitarian, a contemporary embodiment of the world’s first environmentalist community, and India’s first Minister for Environment & Forests – Ch. Bhajan Lal. 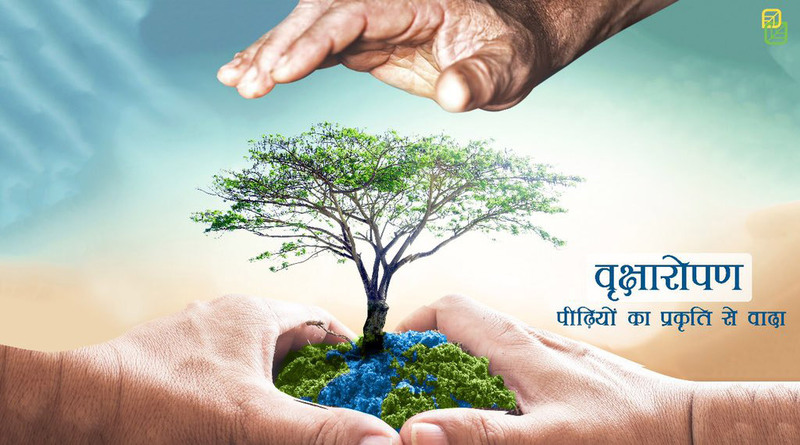 On 6 October – on his birth anniversary – BGIF decided to plant trees, as a symbol to celebrate humankind’s divine relationship with nature. Representative families – comprising 3 generations – from across Haryana congregated at Adampur Samadhi Sthal (or Ch. 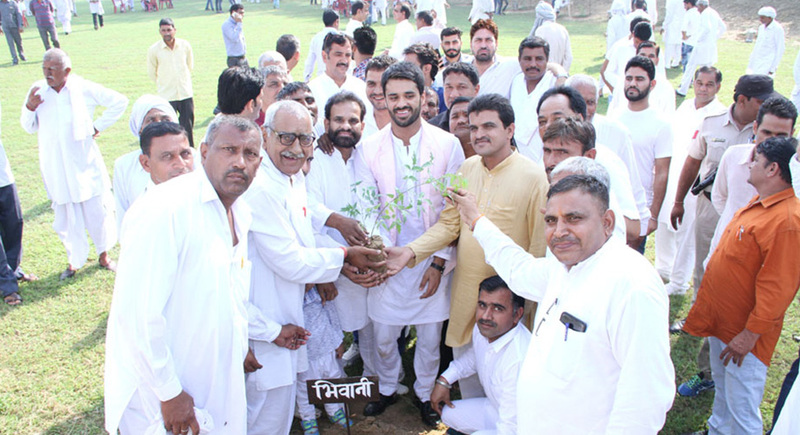 Bhajan Lal’s burial ground) to plant trees and pledged to protect the environment for present and future generations. 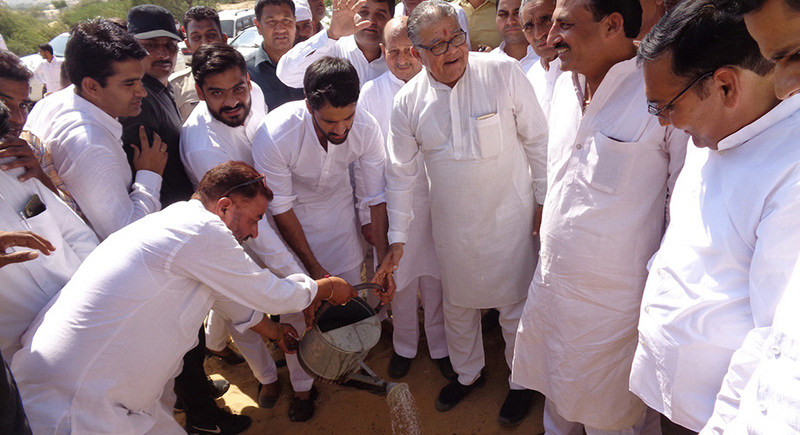 This was followed by a tree plantation effort in Mukam in the Bikaner district of Rajasthan, where 500 Khejri (Prosopis cineraria) trees were planted. Mukam is the place of spiritual and philosophical origin of the Bishnoi community – the world’s first environmentalists. Situated in the arid region of the Thar desert of Rajasthan, the Khejri tree provides several ecological, economic and cultural benefits to the communities that live there. For instance, the fruit of the tree has high nutritional value, its dry leaves serve as natural fertilisers as well as healthy fodder for cattle, and so on. Importantly, the Khejri tree holds tremendous cultural value for the people of the Bishnoi community, 363 of which (led by Amrita Devi) sacrificed their lives in protecting the felling of Khejri trees (known as the ‘Chipko movement’) in 1730AD. In recent times, the number of Khejri trees in Rajasthan is rapidly declining in light of the changing climatic conditions and in the absence of a concerted effort to grow them. Therefore, BGIF is committed to planting and nurturing 500 Khejri trees in Mukam (and more in the future). We seek your support in greenifying the world around us. It is in all of our best interest!